Give your baby's skin a healthy start with Lavanila’s collection of all-natural, skincare products. From their itty bitty nose to their teeny tiny toes, Lavanila’s clinically tested products gently nurture and protect. 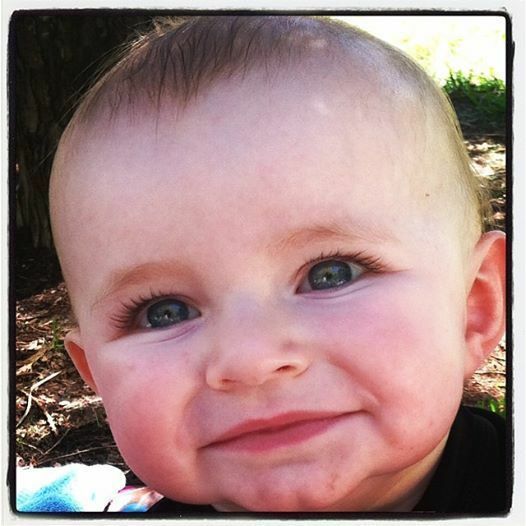 I have an adorable eight month-old nephew named Wesley who has dry and sensitive baby skin. I received a sample of Lavanila The Healthy Baby Lotion for him. Lavanila The Healthy Baby Lotion ($15): This ultra-light, easily absorbed formula blends soothing Sunflower & Vanilla Oil with nourishing Calendula & Noni Juice to lock in moisture and protect against dryness. 100% Healthy Baby Skin! Baby Wesley's Experience: After his bath, Wesley's mommy slathers this amazingly baby fresh scented lotion all over his little body from his head down to his toes. It leaves his skin very soft and does not cause any irritation. He smells so wonderful that I don't even want to put him down! (Plus he is the happiest, most precious little guy ever). My babies were never this good natured!